Patriot Day is observed on September 11th. Patriot Day was signed into law on December 18, 2001 as a day to remember those who lost their lives in the terrorist attacks on our country. 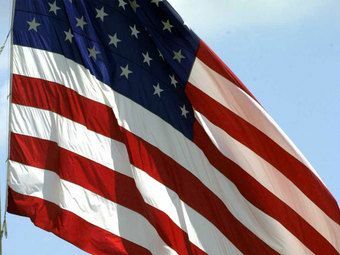 On Patriot Day, Americans should fly their flags at half-staff and observe a moment of silence to honor those individuals who lost their lives as a result of the terrorist attacks. PALM BEACH, ARUBA (September 1, 2008) The Aruba Marriott Resort and Stellaris Casino officially opened the Tradewinds Club, a new concept designed with today’s modern traveler in mind, on September 1. During the current $40 million renovation the necessary enhancements were made to turn the 8th floor of the Aruba Marriott Resort in to the Tradewinds Club. This hotel within a hotel initiative, introduces a boutique hotel experience in a resort setting that provides for personalized service and exclusive amenities. The caves are worth a visit, but be forewarned that Guadirikiri Cave is not for anyone with respiratory issues. The temperature inside is unbearable. Think Aruba heat with 105% humidity and no wind. The Arikok National Park ranger served as a guide and gave us a very informative tour of the cave. Imo if you can stand the heat, for overall features, Guadirikiri Cave is the best on the island with Fontein coming second. Photos of Donkeys in Aruba's Arikok National Park.